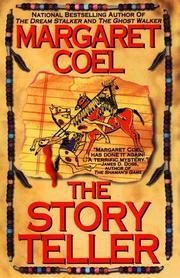 The Story Teller ($21.95; Oct. 1; 256 pp. ; 0-425-16538-8): The disappearance of an irreplaceable, historic, and deadly Arapaho ledger book from a museum whose staffers claim it was never in their collection: a fourth case for attorney Vicky Holden and her barely platonic friend Father John O’Malley (The Dream Stalker, 1997, etc. ).